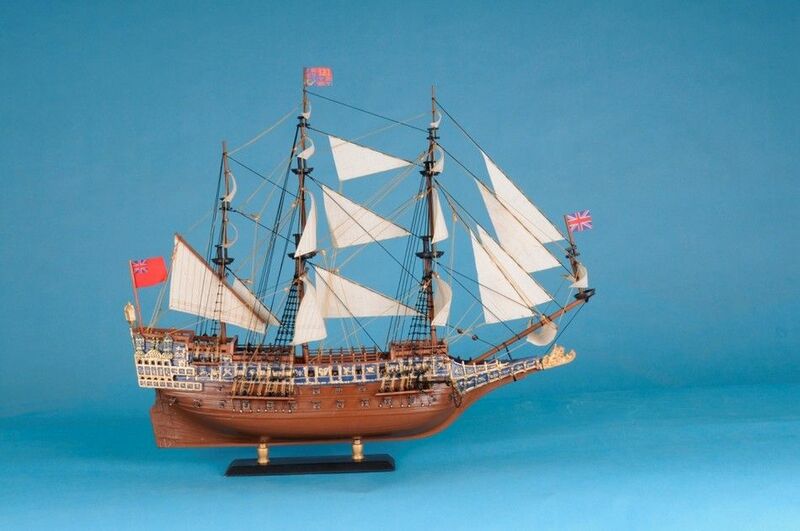 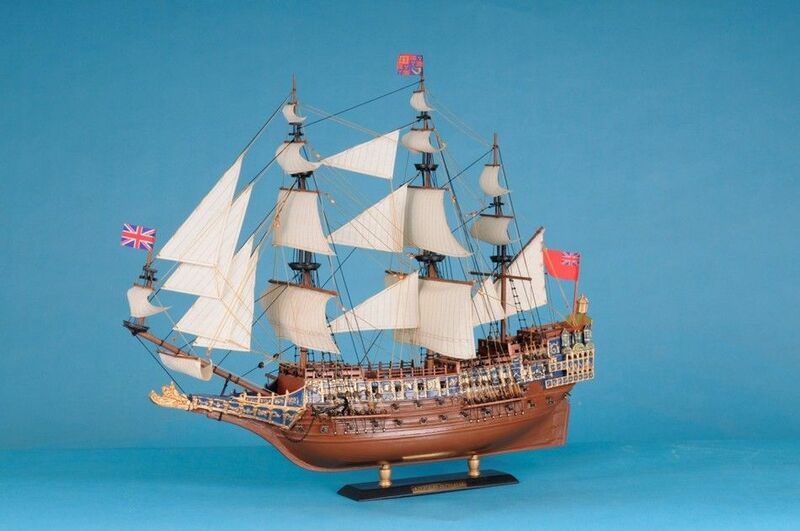 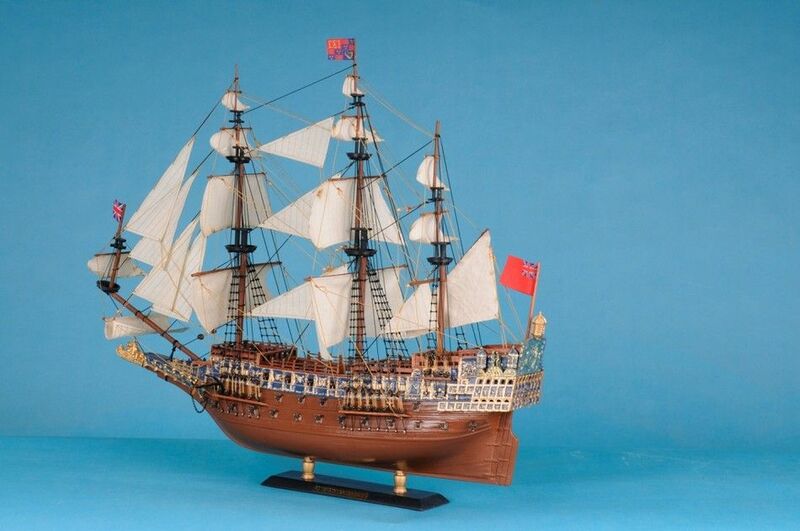 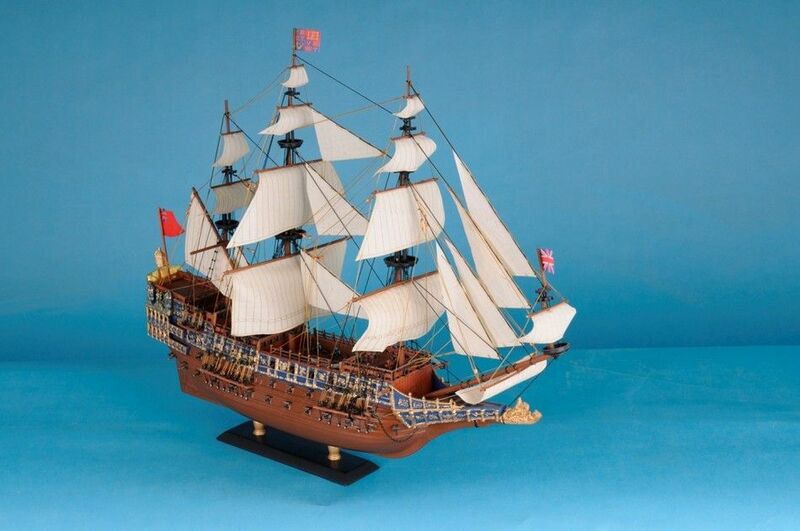 The Sovereign of The Seas Limited 21" was the most extravagantly decorated tall ship built for the English Royal Navy. 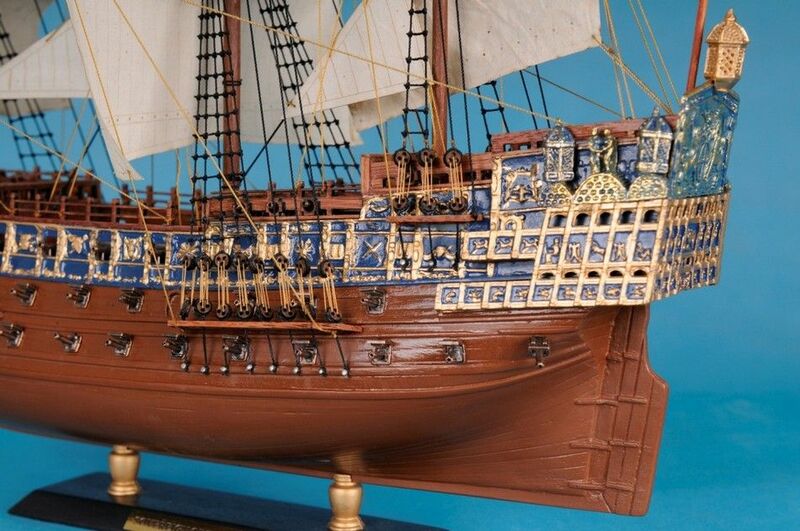 Initiated by Charles I in 1634, this lavish ship carried 102 bronze cannons, and gilded carvings from stern to bow. 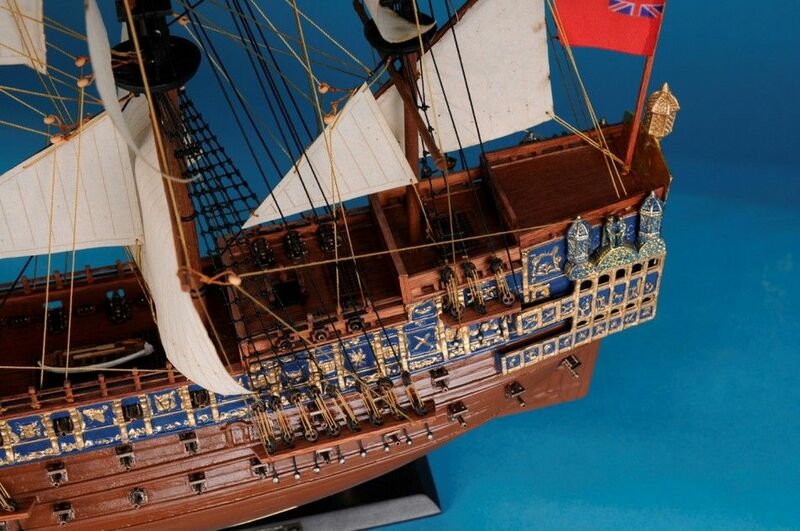 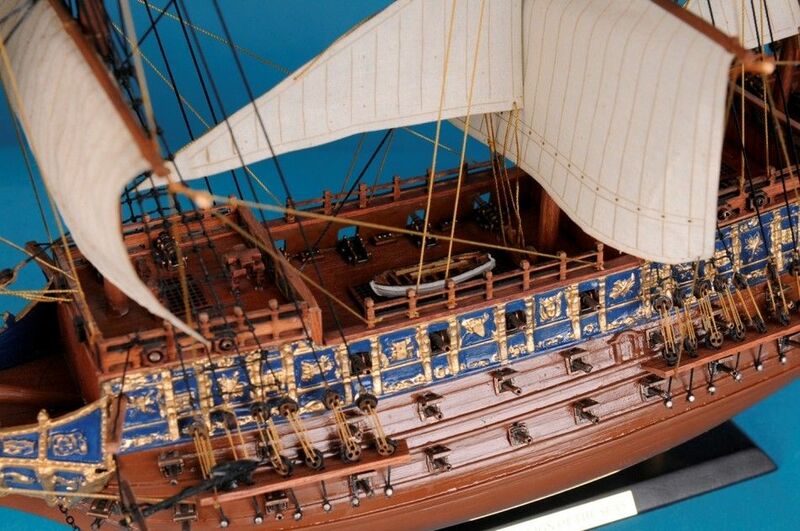 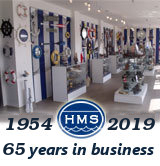 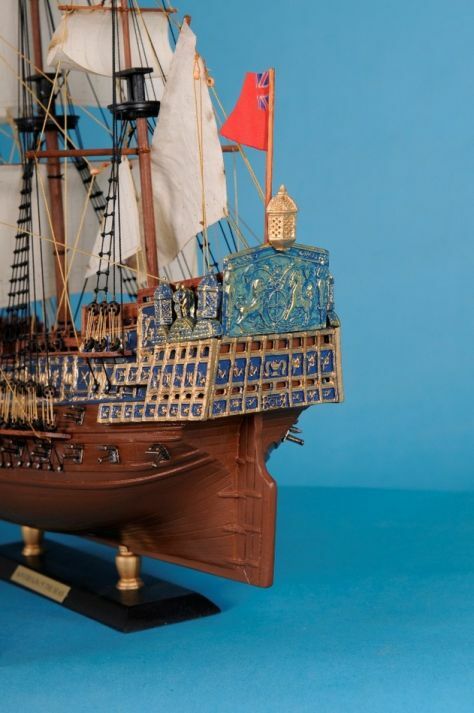 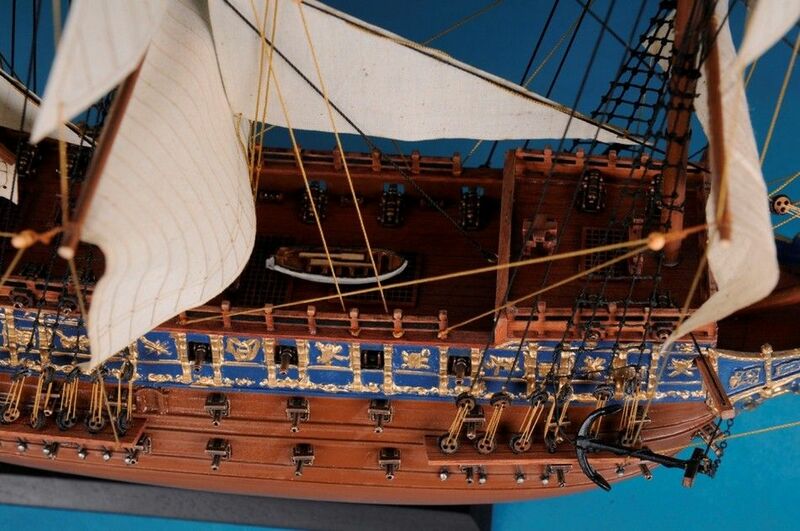 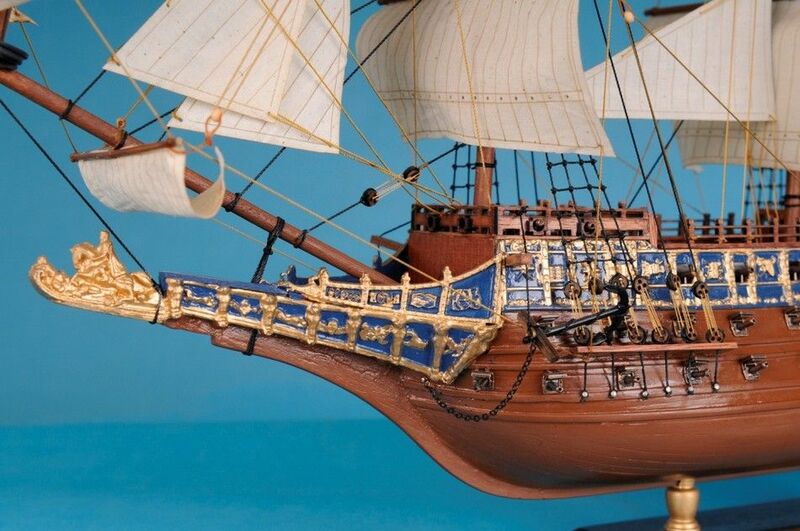 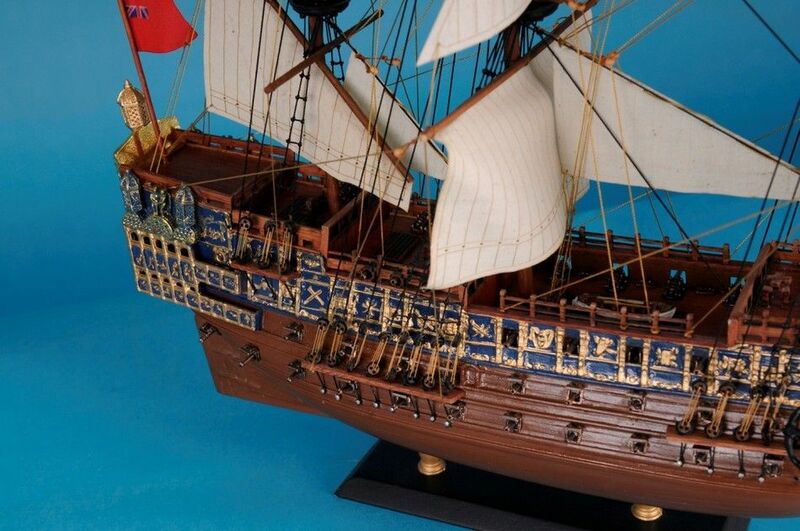 In creating a model ship to match the extravagence of the Sovereign of the Seas, our builders have spent numerous hours matching the precision and detail originally ordered by English Royalty some 4 centuries ago. 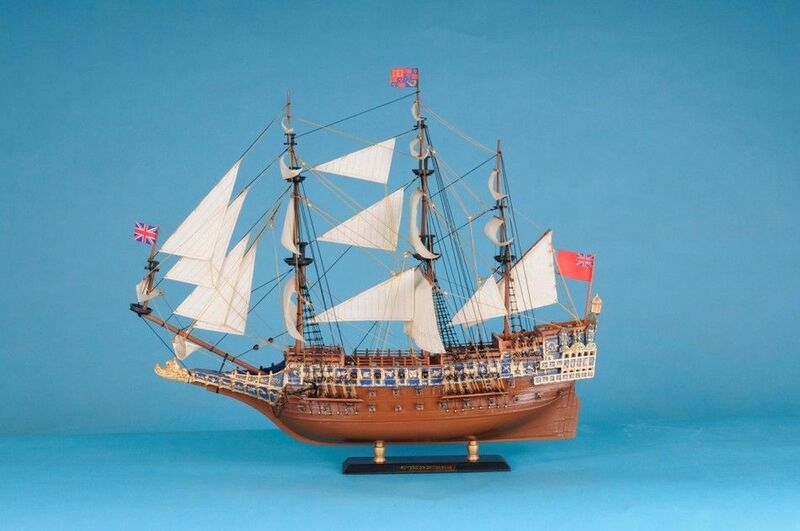 HMS Sovereign of the Seas was a 90-gun (later 102) first rate ship of the line of the English Royal Navy. 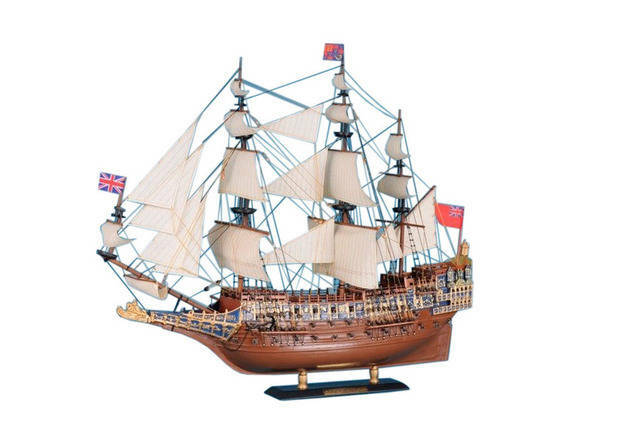 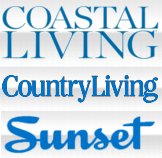 She was later renamed Sovereign, and then Royal Sovereign. The ship was launched on October 13, 1637 and served from 1638 until 1696, when a fire burned the ship to the waterline at Chatham, England.